Death and America seem to go hand in hand down the realms of history; entwined bedfellows with society, industry and apparent civilisation being watered by blood and bone and marrow of humanity. The coagulation of Native American lives spread to the dust could be argued to be one of the most despicable genocidal acts ever perpetrated against a generation. And what was it all for? So, human beings from one side of a huge ocean can take what essentially belonged to the indigenous men, women and children of what we now know is called the United States of America. Red dust scorches that land and people and it’s a stain which will never ever be removed. Even in the last one hundred years and more the Neo-Americans have militarized and invaded many other countries borne, on occasion for the greater good but generally to colonize, re-politicize and scavenge the goods of those said lands. Thus, it is never surprising when the natives choose to repel their invaders as they’d prefer their land to remain their own. For the price of defending their land history has named them savages and other cruel labels in an attempt to differentiate their culture and make them the enemy. Of course, there are good people within the U.S.A who oppose such invasions but the truth remains even they live on blooded ground. 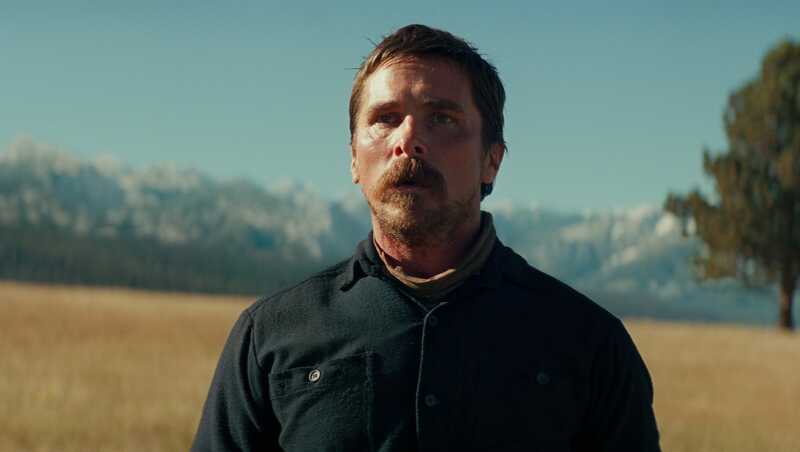 The weight of guilt and pain and death hang heavy in Scott Cooper’s slow-moving and elegant Western. It’s a character driven piece with Christian Bale, Rosamund Pike, Wes Studi and Rory Cochrane putting in dominant performances which convey the depressing murderous times borne out of the heinous and greedy need for progress. White man / woman’s guilt drives the narrative as at first Bale’s soldier refuses to accompany his enemy back to his homeland. Is it more because of the deaths of his own men on the battlefield or because he does not want to face up to his own crimes against the Native Americans? There are no easy solutions in this glacial paced, beautifully shot Western. The audience is required to analyse the characters actions and make up one’s own mind. There are no black hats or white hats save for the denouement involving the four horsemen that drift over the horizon with death in their eyes. Even the Comanche horde who perpetrate the wicked attack on Pike’s family at the beginning, while unsympathetic, are a product of the barbarity committed by the American army. 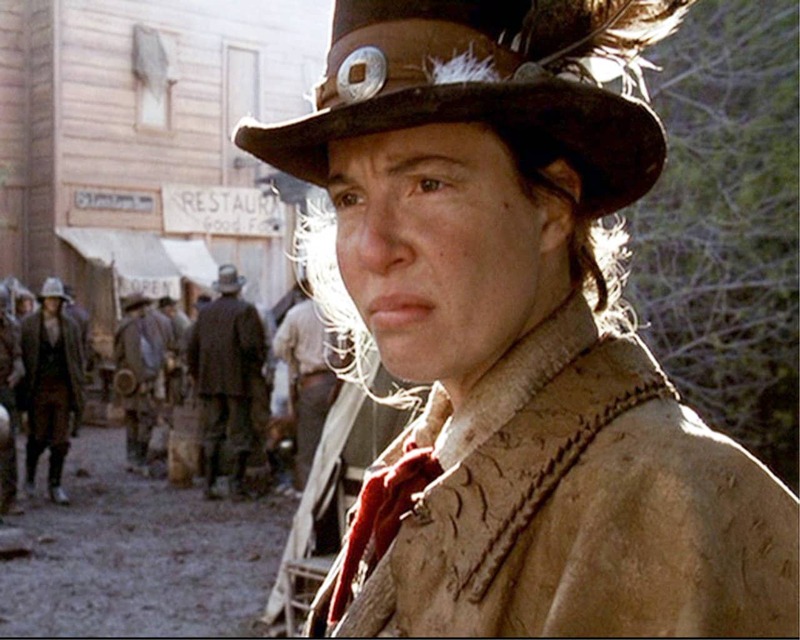 Overall, this is a genre-defying Western built more on character rather than all-out action. Each slow plot turn went against my expectations and that was a positive. It’s a rich, deep and heavy film which benefits from great performances and an incredible Max Richter score.